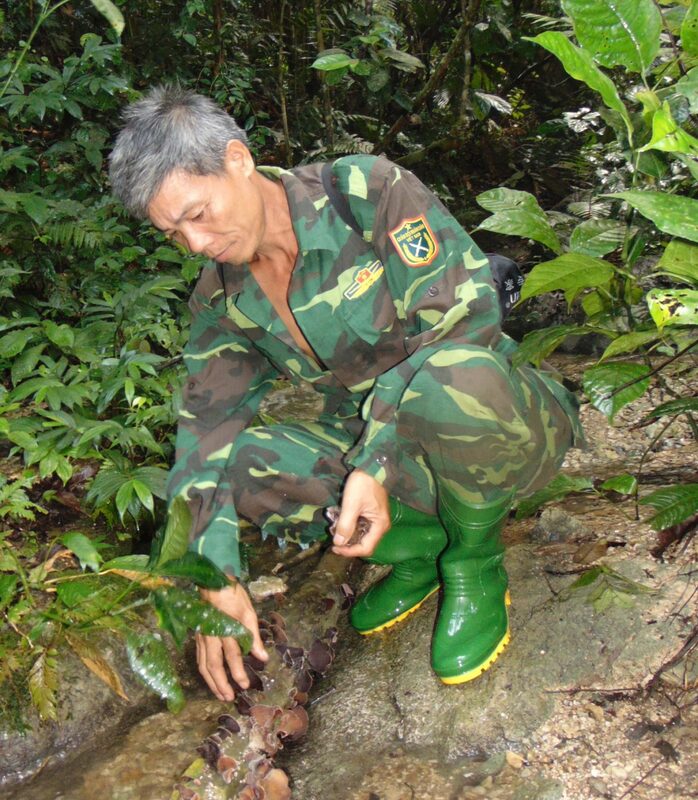 PRCF Vietnam was established in 2004 to protect endangered species and their habitat in karst forest areas. We work with local communities and government authorities to further community-based conservation initiatives and to support protection and restoration of critical endangered species and habitats. At present, our work concentrates in the northern mountainous provinces of Bac Kan and Tuyen Quang, in a biodiverse region holding a number of globally threatened species, including the Tonkin Snub-nosed Monkey, Francois Langur, Pangolin, and Civets. We also work in Cao Bang province, at a conservation site holding the largest know population of Eastern Black-crested Gibbon. Through most of our conservation work we help local villagers establish community-based institutions and groups to support biodiversity conservation and livelihoods development. In direct partnership with the stakeholder communities, we promote and support their engagement in co-management of natural resources in their immediate landscape. We believe that the engagement of stakeholder communities is critical for most conservation efforts and follow this principle in all of our biodiversity work. This participatory measure raises conservation awareness, advances law enforcement initiatives, and encourages sustainable land use. PRCF Vietnam engages in biodiversity research to understand the species and habitats we protect. This includes mapping critical conservation areas, identifying the needs of endangered species, assessing the critical carrying capacities of forest products, and listening to local people’s perspectives on biodiversity conservation. We also conduct research on local cultural, social, and economic characteristics to help us understand the underlying foundations, needs, and potentials of villagers to support conservation management purposes. Socioeconomic research also provides us with information for livelihood support programs. For endangered species, habitat degradation is a serious threat to long-term survival. 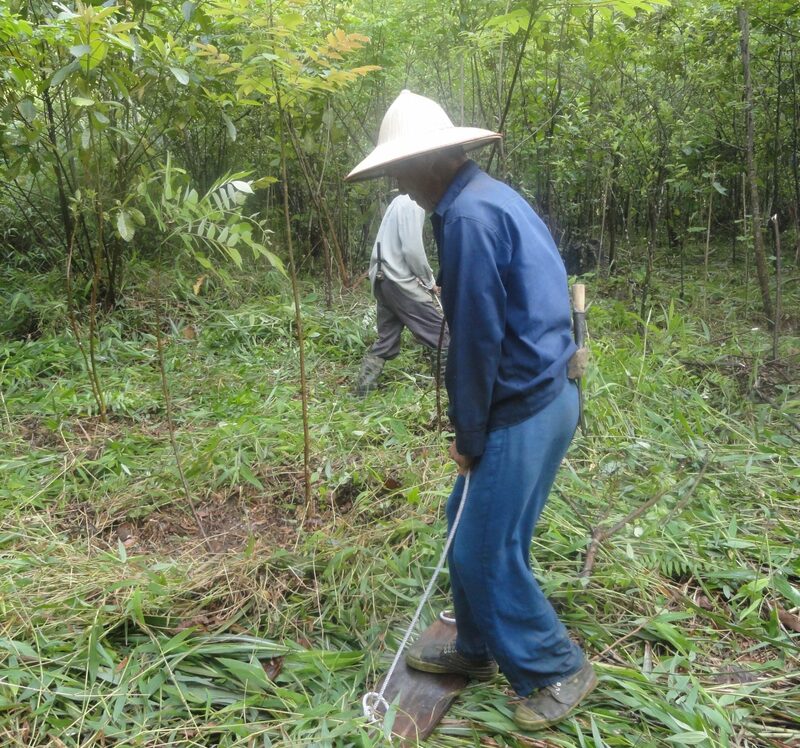 PRCF Vietnam carries out and promotes forest habitat restoration using natural and assisted natural regeneration methods. Because we use only native species to the area on enrichment planting, we conduct phonological research. We carry out photo-monitoring in all of our habitat restoration sites to assess vegetation changes over time and the impact of activities in the originally degraded landscape. The ultimate purpose is to restore forest areas to where the growing endangered Eastern black-crested Gibbon population can expand into. PRCF Vietnam seeks solutions that support local communities develop their capacity to improve natural resource management, through co-management and collaborative management initiatives, while addressing important biodiversity conservation needs.